Alert Janeite Elizabeth let us know that the Bravo TV reality show, “Work of Art,” recently featured the contestants, who are artists, competing to design a cover for a Penguin Classics novel. Apparently they had a choice of several novels, and two of the contestants chose to illustrate Pride and Prejudice. The whole episode is not available for viewing online, but Elizabeth wrote, “The Cluebat needed to be wielded many, many times. . . . one of the artists who has P&P calls Darcy DARBY and mispells Austen as Austin.” The other spells the title backwards. All righty then! 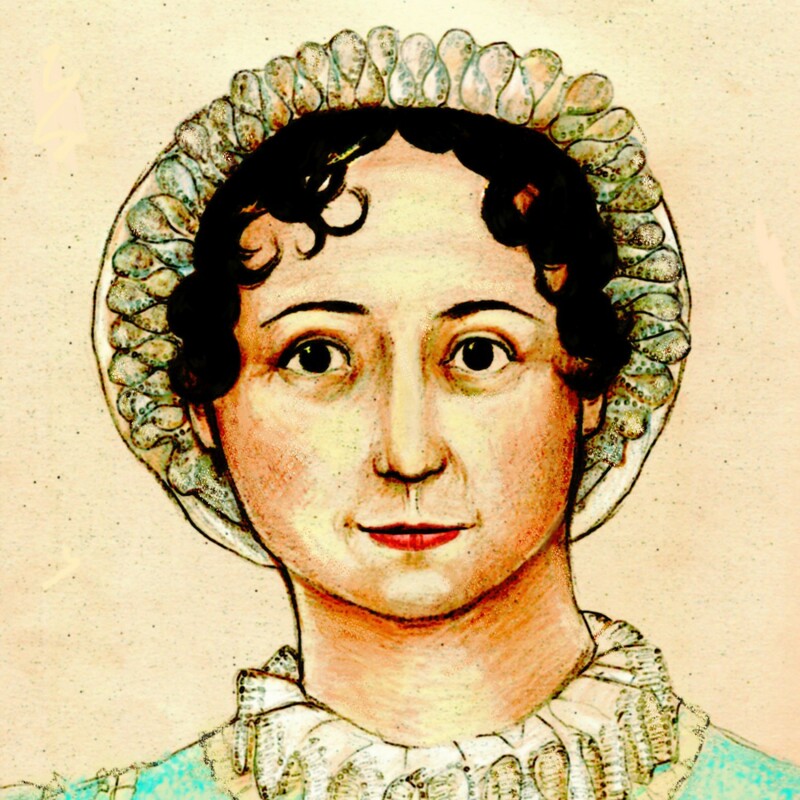 The whole Jane-Austen-wrote-backwards story: (do you know that one yet?) OY, ok: AFTER I GOT SENT HOME I read a New York Times article that Austen actually wrote backwards in letters to her niece. Well, yes. But the niece was like eight years old. Were you making a cover for eight-year-olds? I saw this episode and nearly fell off the coach. What got me the most was the artist who did the backless gown/top-hat cover said that she had read P&P (even though she did call Mr. Darcy DARBY in an interview), but when defending her piece to the judges said that it was supposed to represent the “moral ambiguity” of the story. Okay now, I may have only read P&P about 10 times, BUT, moral ambiguity?! If that were the case, it should have been Wickham on the cover!